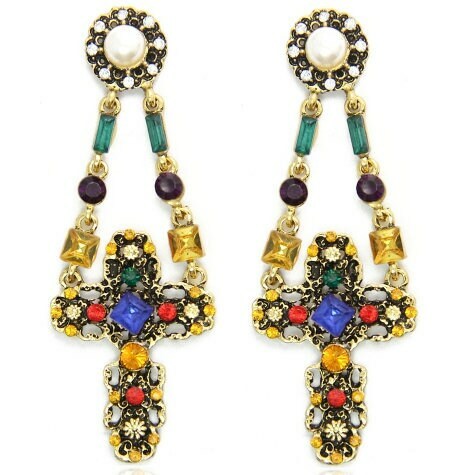 Wild Baroque Style Multi-color Rhinestone Drop Dangle Cross Earrings or Necklace. Hang a full 3”! Alloy casting, antique bronze finish. Stand out at that next Gayla! 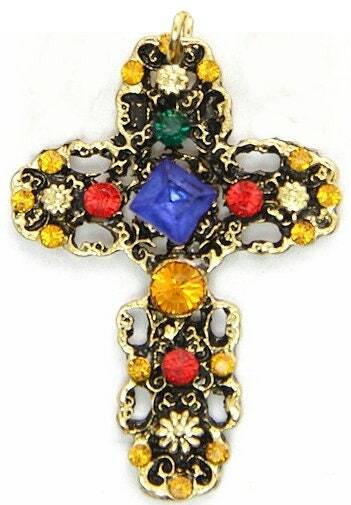 Perfect Lightweight Cast Cross with Accent Rhinestones and Pearlescents. Earrings have Post Backs. 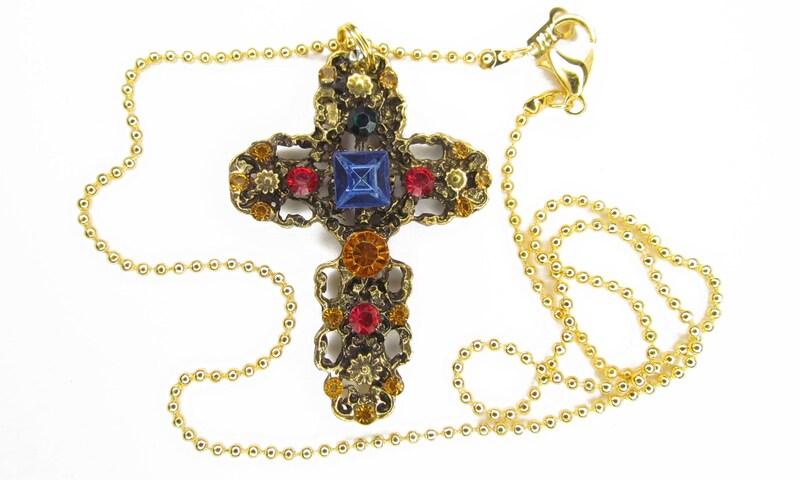 Necklace comes with 17” Gold Plated bead Chain with positive locking lobster clasp.